Although he has been working since the early 1950s in and around Timbuktu, it is only in the last year that Hamidou Maiga's personal and insightful portraits have come to light in the Western world. 80-year-old Maiga's images were discovered by curator and gallery owner Jack Bell, and have since been acquired by the Victoria & Albert museum. Stylish and beautifully composed, the photographs show villagers, musicians, artists and sportsmen and are a document of the the changes in Malian society, from the 1950s to the present day. They stretch across a time when the country was evolving from a French colony to an independent African nation. The formal but intimate portraits depict these changes in the economy through the clothes his subjects wear, and the film stars and celebrities they mimic with their poses. Dazed Digital: You originally trained as a mason. What made you want to start taking photographs? Hamidou Maiga: To begin with, I actually needed a photograph for a flier I was doing and I was surprised to find how poor the quality was of the photography available at the time. I decided to learn the art in Mopti, Mali. That led to me taking up the profession in Timbuktu. Photojournalism was the best avenue to go down to perfect these skills. Having completed my apprenticeship I bought a complete set of laboratory equipment from a Ghanaian colleague and became one of the first photographers to take a camera out into the Niger region. DD: What was it like working as a commercial photographer in N'Gouma? Who were your clients? Hamidou Maiga: I was the only photographer working in NʼGouma during this period and I benefited from that. My clients were the curious few who couldnʼt believe the idea of fixing an image on paper. DD: You spent two years tracing the route of the River Niger. What made you want to do that? Hamidou Maiga: I was hungry for work. The scene was constantly changing and I met a lot of interesting people. Dealing with the challenges of outdoor studio photography – light, subject, framing – made it a good place to form up my abilities as a photographer. DD: What sort of people would you photograph? 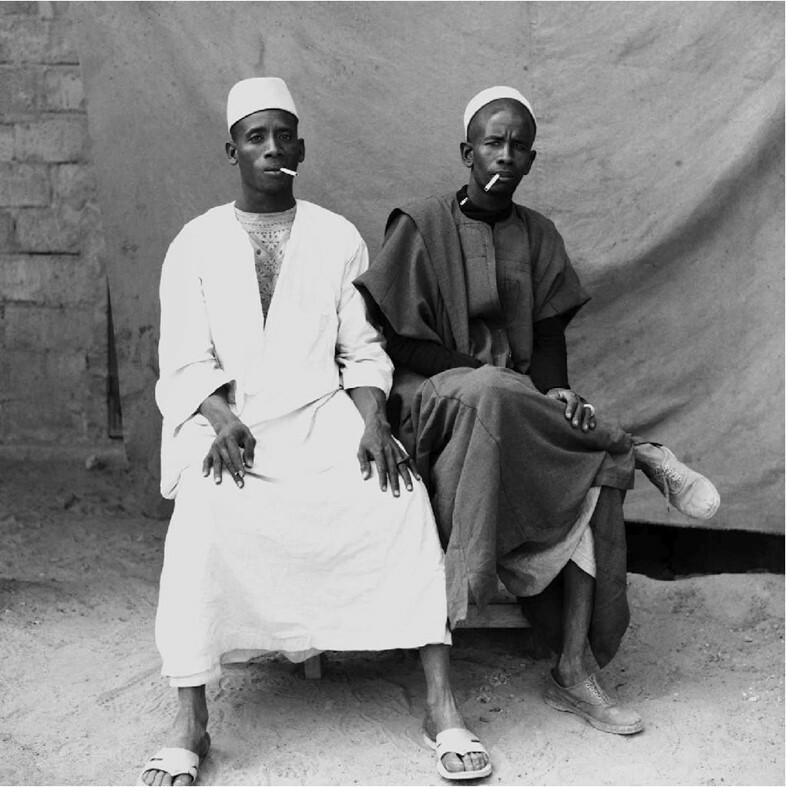 Hamidou Maiga: I would photograph those who had the means to have their photo taken. It was a financial venture ultimately. DD: Had they been photographed before? Were they used to the situation? Hamidou Maiga: Those who I photographed at the time had never had their photograph taken. The clients were often quite natural, but the younger ones burned with the passion and enthusiasm of youth! Everyone wanted to look beautiful in the photo. DD: As well as photographing villagers you also ended up photographing dignitaries, artists and musicians. How did that come about? Hamidou Maiga: I became well known in these parts – everyone knew my name. The studio became a site where people would meet and exchange ideas. All these different worlds would collide in one room through the people I met. It was a real melting pot. DD: Your work is quite stylised. What other photographers influenced you at the beginning? Hamidou Maiga: At the beginning, I wanted to be like the plate camera photographers of Mopti. Their cameras were locally made and they would affix a 5 x 4 lens. I was amazed how self contained the whole operation was. A whole darkroom inside a little box. DD: Which contemporary photographers are you interested in? Hamidou Maiga: Malick Sidibe of course has been a great friend to me. We have worked together over the years and I admire his great success. DD: You are nearly in your 80s now. How does it feel to have a show at that age? Hamidou Maiga: I am tired and feel my old age of course, but I am very happy to see my photos exhibited in one of the major cities of the world.